Can we Record Live TV Program on DD Direct Plus? 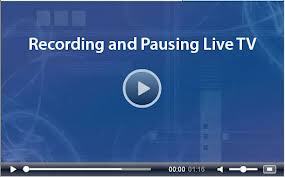 Yes, it is Very good question, because so many calls, we are receiving that “can we record live TV programs". For Record Live TV Programs, you will have to purchase Set-Top Box with recording facility. At this time all DTH Providers proving set-top box with recording facility but there are some restrictions. You can record programs and you can watch only in Set-Top box. You cannot watch recorded programs to Laptop and computers. Solid Company launched these receivers for recording purpose; these receivers are also in High Definition so you can connect your LCD / LED TV. You can also attached 500GB Hard disk with these receivers. These set-top easily available online. At this time DD Direct Plus providing 59 Channels with including private channels. Some other channels are also available, you can check complete channel list from here.